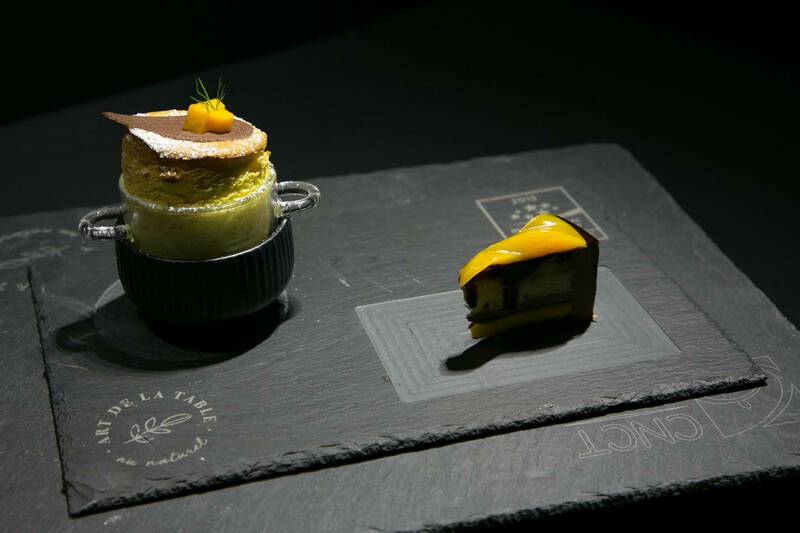 The historic edition of the International Catering Cup in Lyon ends with the triumph of Enrico Magro’s Italian pastry, with mignardise and soufflé with chocolate and mango. Not just Dessert for the Italian team composed by Team Leader Andrea Mantovanelli, Team Member Enrico Magro and the coach chef Fabio Tacchela. 12 teams, 12 nations compared and 3 days of passionate work. Each team took care of the supply of the ingredients, the arrangement of the equipment and the preparation of the line of the dishes in the race. The third day, the jury moment, judging dishes and the catering buffet. The 4-course competition menu included an appetizer of duck and foie gras; sautéed trout and accompanying sauce as hot fish; a stuffed and lacquered pork loin with a sauce to garnish as a hot dish. Finally, a chocolate and mango dessert. Thanks to the victorious pastry of Enrico Magro, the Italian team won the 4th place of the International Catering Cup 2019. In 1st place Team France, 2nd place Team Singapore and 3rd place Team Luxembourg. International catering cup 2019: Enrico Magro, pasticcere dell’Hotel Bristol... E’ Carnevale! Vivi questa magia!